http://hometeamsonline.com/teams/default.asp?u=H5AB&s=baseball&p=newsstory&newsID=61542 After a 4-0 start in District play, with a 6-1 Win over Lee and a 5-4 comeback Win over Vidor, the Patriot’s Baseball Team has been awarded Houston Area 5A Baseball Team of the Week – Week 5. 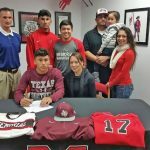 Multiple Teams · Jan 20 Mario Moralez signs!!! 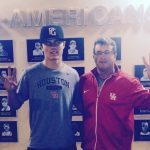 Derrick Cherry, GCM sophomore, has verbally committed to play baseball at the University of Houston. Congrats Derrick and Go Coogs!! !